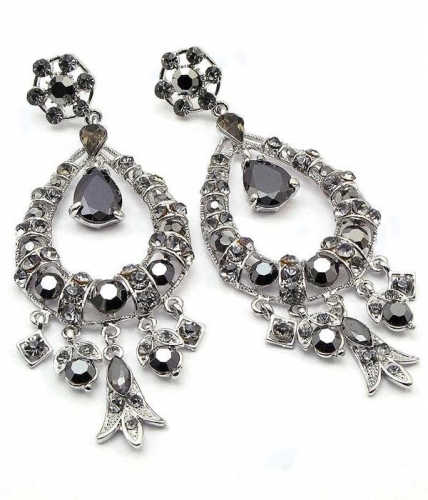 Feel yourself special this evening in the graceful earrings. The large faceted crystal has a teardrop shape and is trimmed with gold filled metal. Post style fastening for pierced ears. Purchasing jewellery online here at Oz Bling is simple and fun. Feel most welcome to contact us for any help you may need.